This Velvet Ribbon is the ultimate in Bling! 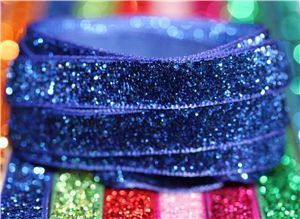 A woven velvet ribbon that is heavily glittered, but the best bit is the glitter will not fall off - amazing!! 1.5mtr length or 20mtr Roll.